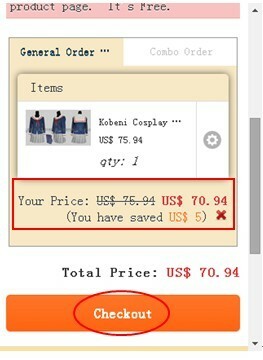 How To Use CosplayFU Coupons? 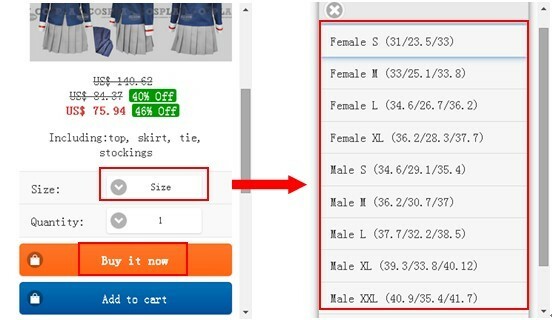 1.Choose size, input quantity, then click ‘Buy it now’. 2.It goes to shopping cart, confirm the size, quantity, then enter your coupon code into the blank under ‘total price’and click ‘use coupon’. 3. 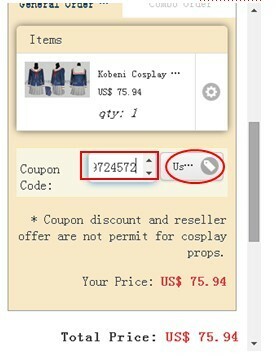 You can see the ‘coupon discount price ‘,then click ‘Checkout’.